Alien Invasion featuring creatures who are "out of this world"! 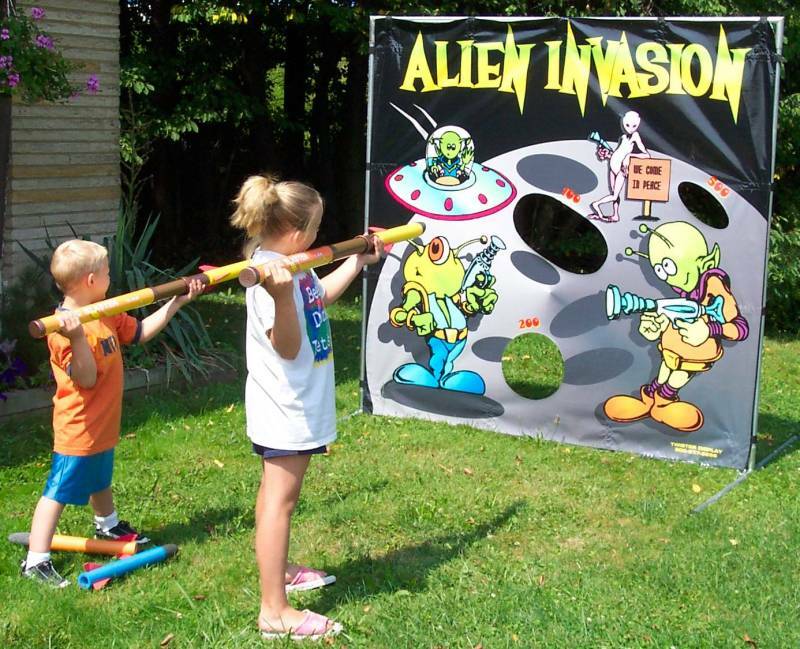 Alien Invasion uses rocket launchers to propel SAFE foam rockets at the targets. The point system makes for a great competitive game for all ages.